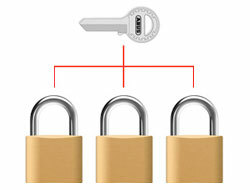 Master key padlocks are individually keyed and are operated uniquely. 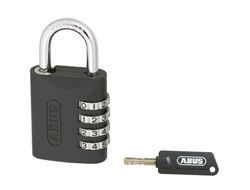 A single master key can then be used to override all the padlocks within a set. 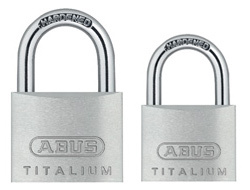 The set can be as large as you require and we hold a record of each and every unique lock you have. 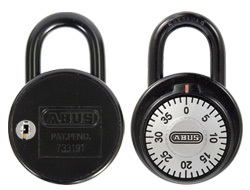 This enables you to purchase additional padlocks or keys for your set in the future. For additional information please see out dedicated Master Key Advice Section. Important: Although each padlock will arrive with two keys each as standard, please remember to include the number of actual Master Keys you require with the order. 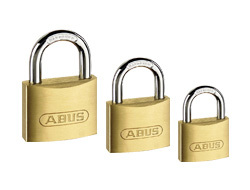 The ABUS Granit range use a special key-way with over 250,000 possible key variations. As a result it makes this lock one of the best and most secure in the world to be master-keyed with little or no chance of repetitions. 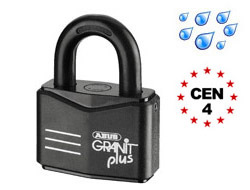 This lock also carries a CEN Insurance Grade of 4. 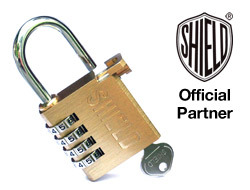 The ultimate in master-keyed padlock technology. 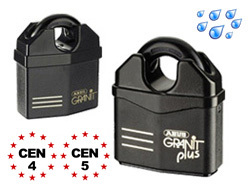 The closed shackle Granit Plus padlocks rate as one of the best in the world with CEN grades of 4/5, unique anti-pick mechanisms and weather resistance up to 40 years. 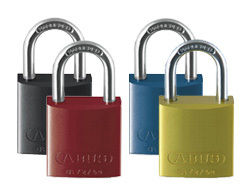 These are ultra lightweight and available in 7 different colours which make them very popular as safety lock-off padlocks for electrical, engineering and petroleum companies. These are one of very few types of colour coded lock that can be made up as a master ket set. 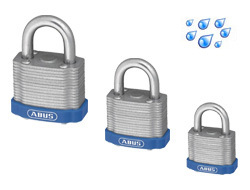 They are also highly secure with precision anti-pick mechanisms and hardened shackles. 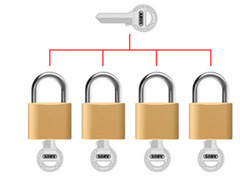 If you have purchased a number of master key padlocks (including combination types) then you will need to select how many Master Keys you require from here.